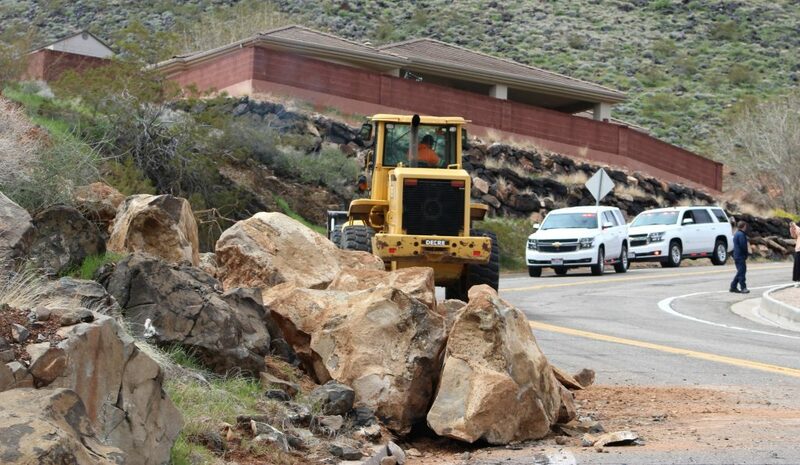 ST. GEORGE — A rockfall triggered by heavy rainfall sent large boulders toppling onto 400 North on the Black Hill in St. George Friday afternoon, temporarily closing the street to traffic as crews cleared the roadway. 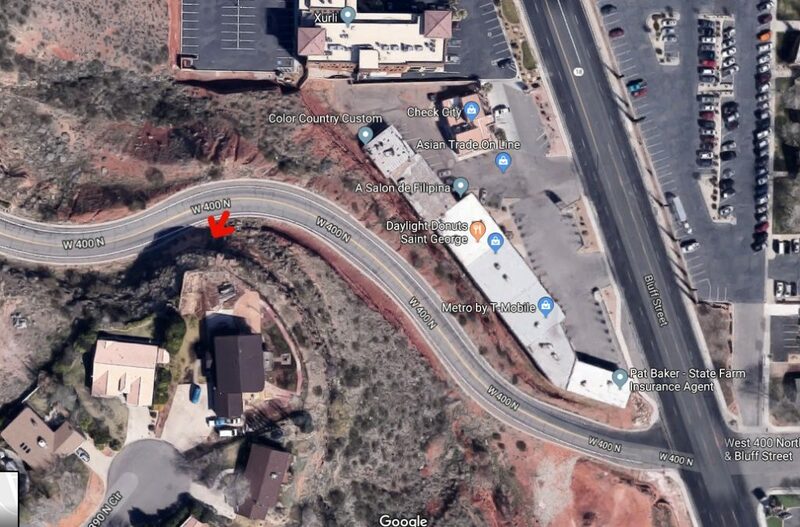 At 12:20 p.m. emergency personnel responded to the rockfall reported just south of Donlee Drive where a number of rocks and large boulders slid down the side of the hill and rolled across the roadway, St. George Fire Deputy Chief Kevin Taylor said. The area where the slide occurred was blocked by emergency vehicles, and traffic was reduced to a single lane. No injuries or property damage was reported. 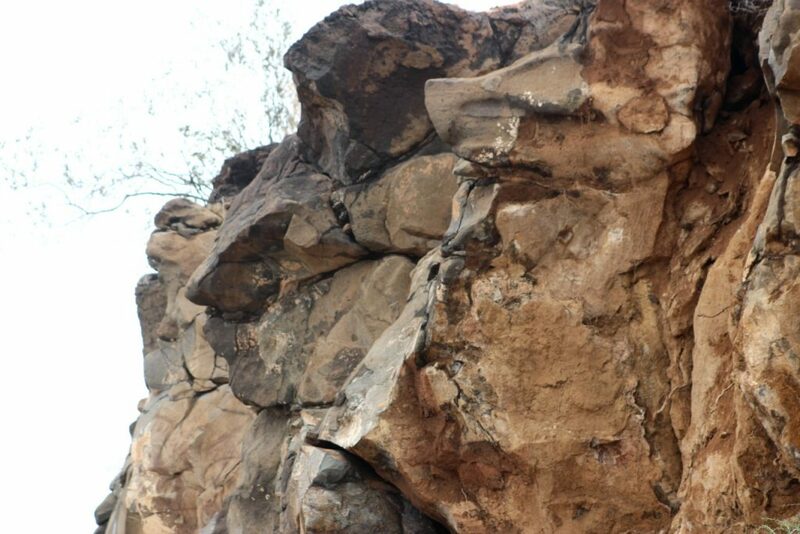 Taylor said the rockfall was likely caused by excess water being absorbed from continuous rainfall that saturated the soil, making the hillside near the top unstable as the rocks broke away. 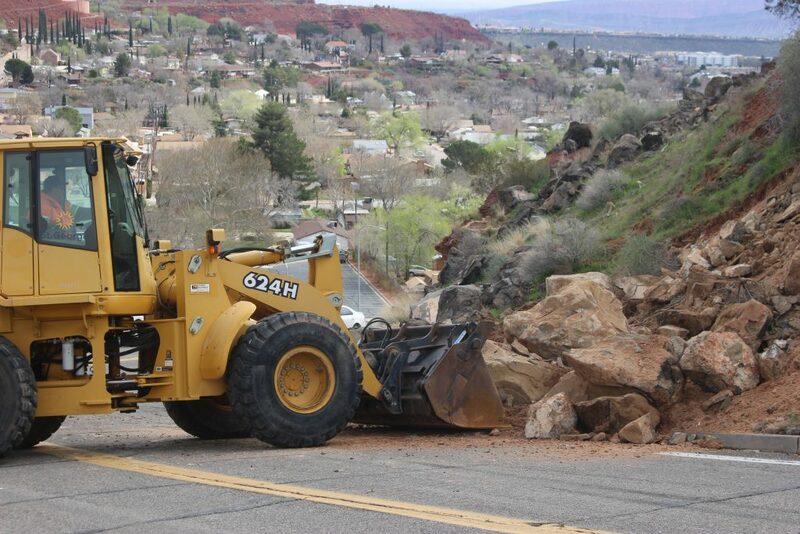 The Fire Department assessed the hazard and called in crews from St. George City Streets Division to clean up the rocks and debris with a loader. The street was completely closed to traffic as the heavy equipment was being operated. 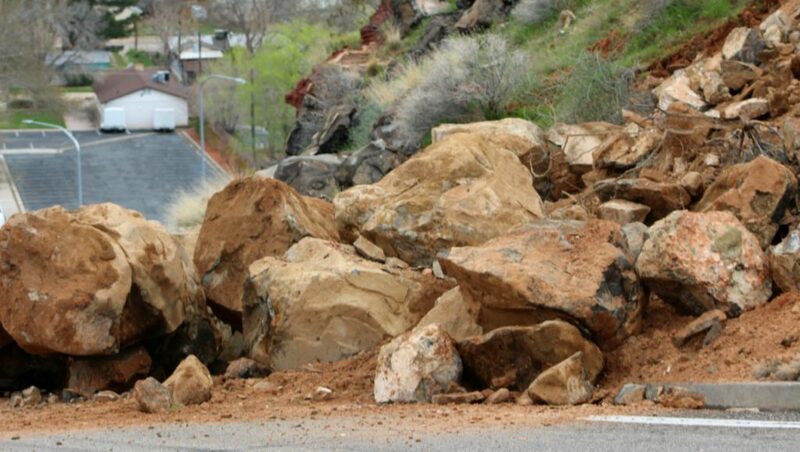 One city employee said some of the larger boulders weighed as much as four tons, as was evident when the loader’s tires sank closer to the ground from the weight of the boulders as they were hauled away. After approximately 45 minutes, the road was cleared of debris and reopened for travel.